As per a new draft law on tax support for small and medium enterprises (SMEs), only profitable SMEs will be eligible for reduced taxes. The draft law does not provide the details of reduced level with respect to the current corporate income tax, but industry experts believe the reduction to be 1 percent for medium enterprises, 2 percent for small enterprises, and 3 percent for micro enterprises compared to current taxes. Although the tax cuts will reduce the State budget revenues, it will lead to the growth of new small businesses that will offset lower tax earnings. The tax cuts will be applicable for profitable entities, which account for 49.4 percent of the operating enterprises, an estimated 301,300 units. This includes 4,160 medium enterprises, 116,920 small enterprises, and 173,271 micro enterprises. 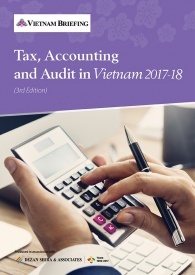 The tax cuts will reduce the State budget revenue by about US$84.7 million (VND1,920 billion) which includes VND 103 billion for medium enterprises, VND1,314 billion for small enterprises and VND502 billion for micro enterprises. 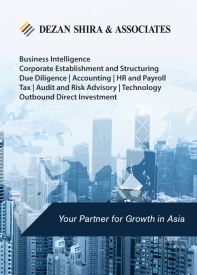 The tax support will not be eligible for foreign-invested and state-owned SMEs in terms of production. The draft law also removes the provision encouraging banks to provide loans in accordance with the solvency of SMEs and financial health of the bank. SMEs have been the primary driver of socio-economic growth of the country. 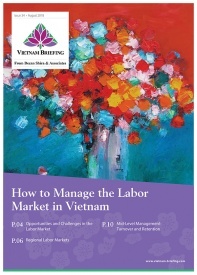 They account for almost 98 percent of all operating enterprises in Vietnam and employ about 80 percent of the total workforce. Last year, SMEs accounted for 43.2 percent of the GDP. 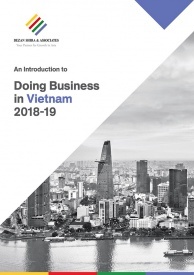 In spite of their contribution to the economy, Vietnamese SMEs face issues such as lack of capital, lack of government support policies, and low business capacity in areas such as business ethics, production management, and quality management. In addition, SMEs find it difficult in acquiring loans due to higher interest rates, lack of collateral assets, and preferential access to state-owned enterprises, which limit bank’s resources. The government has recently taken steps in April 2017 to, to provide credit to SMEs through commercial banks under its SME Development Fund, established in 2013. 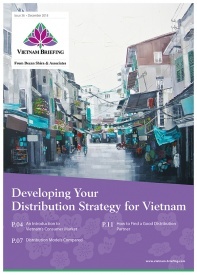 For this year, US$24.9 million (VND 560bn) will be allocated for the fund. US$4.4 million (VND 100bn) will be provided to innovative companies, US$8 million (VND 180bn) for agriculture, forestry, and aquaculture, US$8 million (VND 180bn) for processing/manufacturing firms, and US$4.4 million (VND 100bn) for water supply, management, and treatment companies. The government hopes that regulations changes and funding will boost SMEs and help medium and micro enterprises to integrate themselves further in global supply chains, which would allow easier access to bank loans and foreign investment. Only 21 percent of Vietnamese SMEs are linked with global supply chain, much less than its neighbors Thailand and Malaysia, where 30 and 46 percent of firms are integrated in global supply chains. According to industry experts, State funding over the years to SMEs have been deemed inefficient and difficult to implement. In addition, limited State budget does not allow extensive funding for the SMEs. The government needs to guide and train the enterprises, focusing on regulations, administrative issues, human resources management, capital management, and technical consultations to improve production and services. In terms of policy implementation, the government should provide further incentives in tax, land rental fees, and market expansion to spur growth and competitiveness. 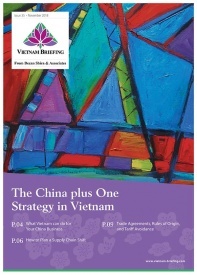 To realize the government’s goal of having one million enterprises by 2020, Vietnam also needs medium-sized and large businesses to be part of the global supply chain and capable of supplying to foreign firms.